ALAN KEOHANE is most famous for his BEAUTIFUL ICONIC BLACK AND WHITE PRINTS OF MOROCCO'S PEOPLE AND LANDSCAPE. 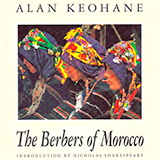 As well as being the author of the books "Berbers of Morocco" and "Bedouin, Nomads of the Desert", Alan has contributed to numerous other books including the Insight Guide to Morocco and the DK Top 10 Guide to Marrakech. He has travelled widely, particularly in the Middle East. 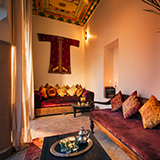 He is also a highly successful commercial photographer and is especially regarded for his interiors, which are regularly reproduced in international magazines such as "Condé Nast Traveller". Alan Keohane also does commsssioned portraits, espeacially for press including the Independent Magazine.